We manufacture 2 types of Coaster Holders-Stacked (laying flat in the holder) and Slotted (up-right). Either type will display the graphic text or image. 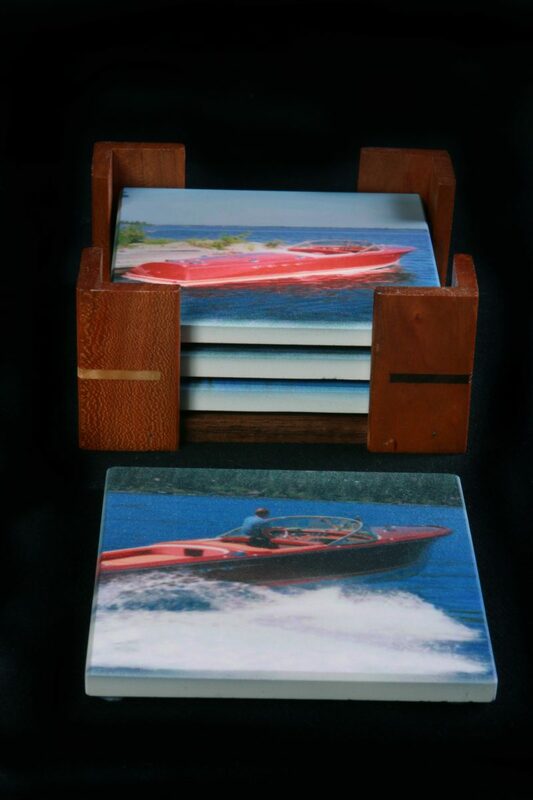 Whether in a board-room or as favors with Coasters (bamboo or quartz or light edge acrylic) consider a holder. Note: accent splines of contrasting woods. 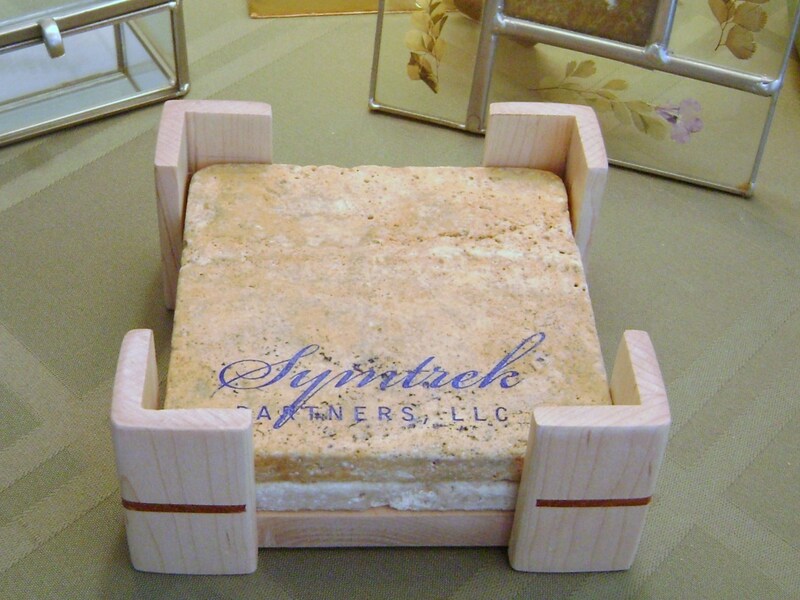 We have you covered with any coaster holder style to make your coaster a great corporate gift. Coasters do provide a great branding opportunity when displayed in a unique holder. Pricing can vary based upon woods, style (stacked or slotted/standing) and engraving requirements.